Best Wishes offers 15 artworks which suggest reciprocal processes of filtering, but not in the hope of stopping filtration or finding an authoritative ‘original’ signal. The filter, instead, might be where we find the power of mutability, imagine paths of change, and wonder at the beauty of complex pasts. This exhibition is the result of a partnership with the Institute for LGBT Studies. 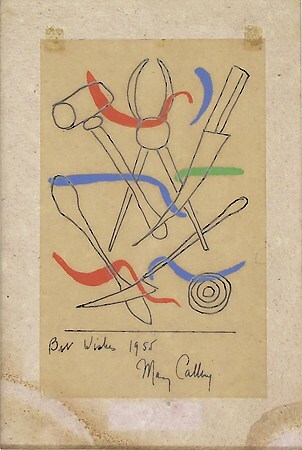 Mary Callery, Best Wishes, 1955, Oil and pen on paper, Gift of Edward Joseph Gallery, Jr.